The love of train travel never seems to show any signs of decline. It seems likely that there will always be people who will prefer to travel this way. As well as being a great way to get from one destination to another, it is also a fantastic way to see more of the world. When it comes to train travel, the following are some great reasons for choosing this method of transport. When you are in a train you can just sit back and watch the scenery go by. When you are travelling on a bus you will probably not see much except buildings and other traffic. If you take your own car then you cannot appreciate the world around you because you have to concentrate on the road. And when you travel by plane, the only thing you will see after takeoff is blue skies and clouds. For long journeys train travel is far less stressful than airplane. You do not have to try and battle your way through the security at the airport and have your bags checked again and again. And it won’t be necessary for you to be at the train station a few hours before your train is due to leave. One of the other great things about train travel is that your baggage is not limited. When you take a train you will arrive right in the heart of the city. For some people the process of getting from one place to the other is a pain, a chore, an experience to dread with fear and trepidation. For others, like me, the act of travel itself, be it flying or riding in a car is just part of the experience and it’s something from which I get a lot of joy. But there’s one form of transportation that seems to transcend the usual angst and to which most travelers fell drawn – the train. This is the segment on the railway track from Sakaleshpura (altitude 906 m MSL) to the Kukke Subramanya (altitude 120 m MSL) Road station. 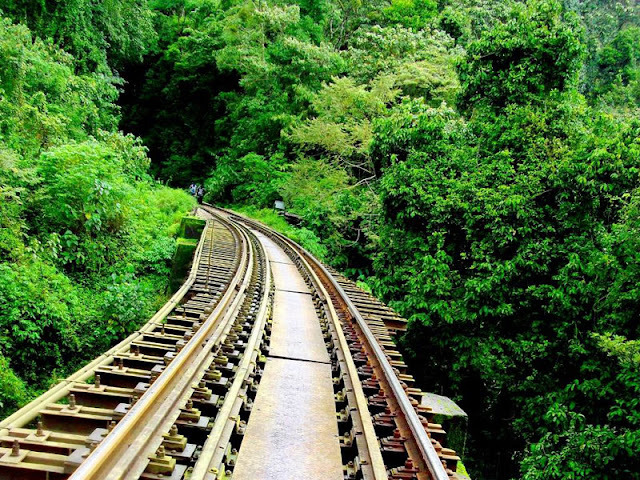 This is a unique beautiful spot in the whole railway track because of the dense green forest in which it is situated. 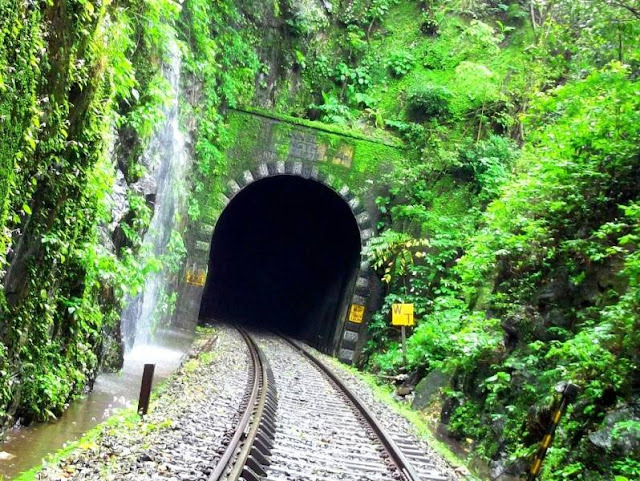 This stretch of the track with length about 52 km has around 57 tunnels and 109 bridges with length varying from few metres to 0.75 km and height varying from few metres to 200 meters and more than 25 waterfalls. The tunnels are absolute terrestrial abyss. 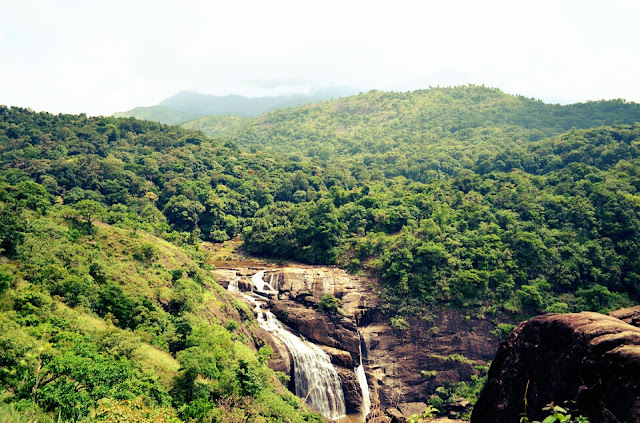 This is one of the most picturesque spot (route) in the Western Ghats of the South Kannada and Hassan districts of Karnataka which is also called as the "GREEN ROUTE." 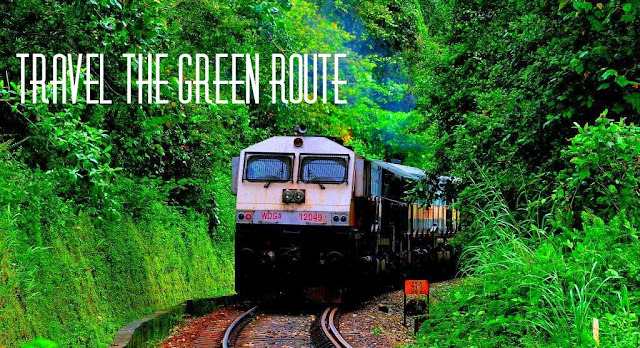 Green Route is a well known segment along the Bangalore and Mangalore railway line in India, within the pristine part of Western Ghat mountain ranges often called the trekker's paradise. 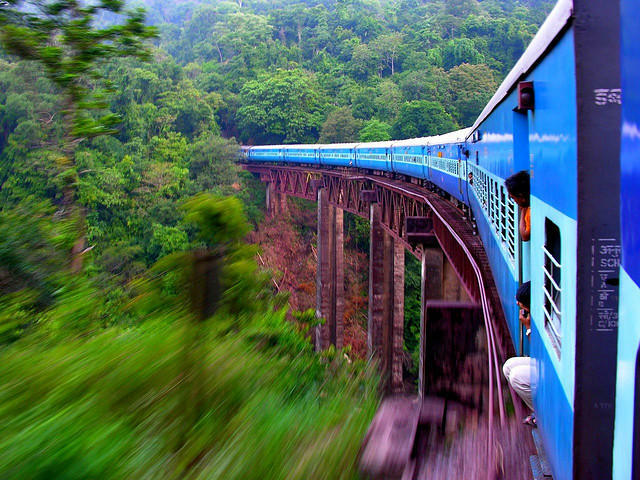 The train route to Subrahmanya is very picturisque and it is passes through green thick forest of Shiradi. 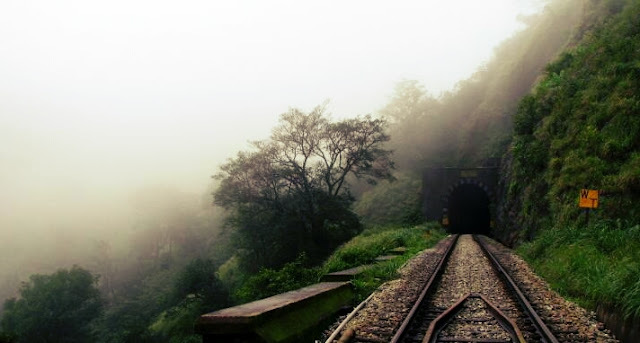 The railway track from Sakleshpur to Mangalore passes through some of the most picturesque hills of the western ghats. The train pulls down through these ghats chug-chugging along the bridges and tunnels. 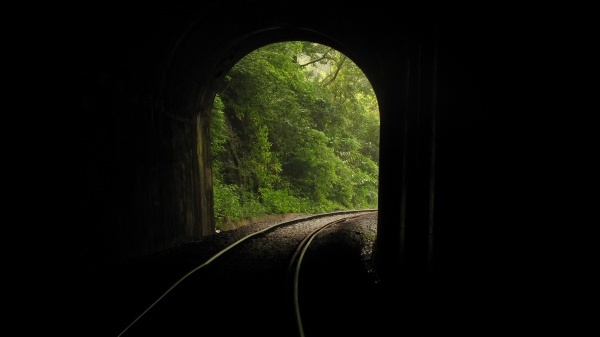 The whole stretch of the railway line passes through a number of such bridges and tunnels.You wont wish to forget, if you travelled through the train from Sakleshpur to Subramanya Road. 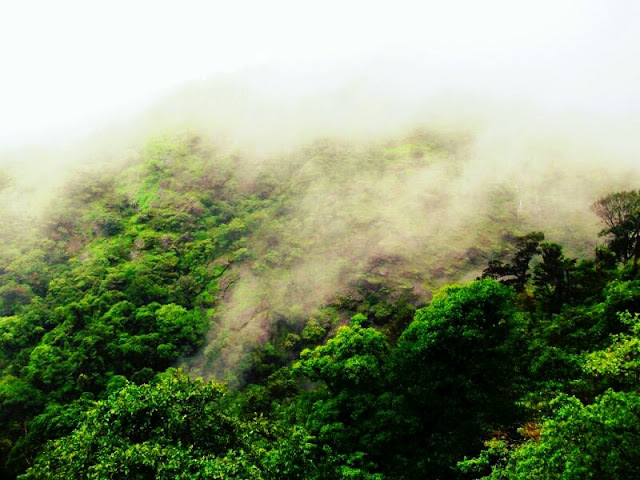 The Railway Segment from Sakleshpur to Kukke Subramanya road junction is known as green route trek and very popular amongst the trekkers in Western Ghats. The length of the trek is some 52 km which comprises 58 tunnels, 109 bridges and about 25 waterfalls. The railway track was closed down in 1996 for converting it to broad gauge from meter gauge. Goods trains started running on the track since 2005 and operations for passenger trains resumed in 2008. 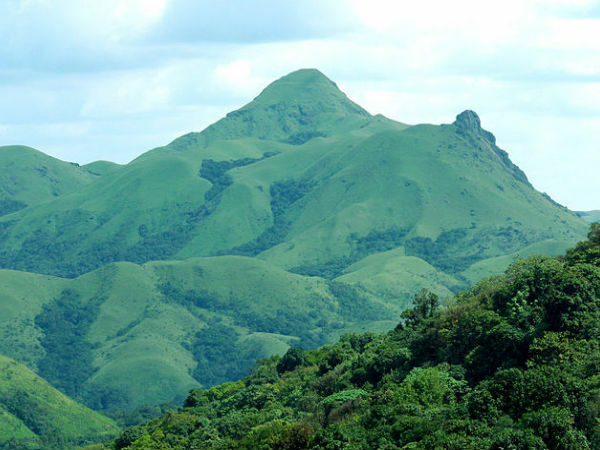 Most of trekkers starts from Sakleshpur and continues till Yedakumari which is some 22 km distance. 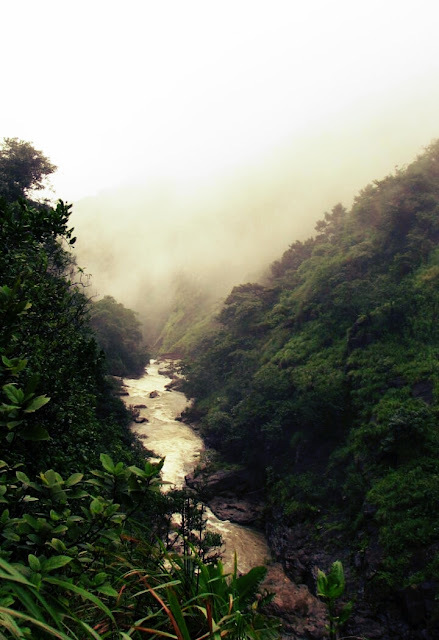 Green route trek offers absolute wilderness to the nature lovers. Length of the tunnels varies from few meters to 600 meters and these tunnel are unexplored eco regions with high possibility of poisons snakes, insects. Bridges are breath taking and a challenge to those who suffers from acrophobia. I'll be providing more info about the "Green route trek" in my further posts .